If there is one thing I hate around here, it's clutter. And probably the biggest source of clutter around our house is cords. Phone charger cords, video game charger cords, stereo cords, the list goes on and on and on. There are drawers stuffed with cords. So when the awesome folks @ Powermat sent me one to review, I was terribly excited! If you're not familiar, PowerMat is a wireless charging station that makes charging all kinds of electronic devices quicker and easier. You can charge up to 3 devices at once on the home Powermat. 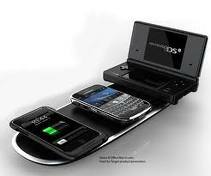 You can use the Powermat to charge IPods, IPhones, Blackberrys, Nintendo DS systems, and more. If you have a device that is not specifically listed, you can use the Universal PowerCube, pictured below, to charge other products.Pretty much everything can be charged using the universal Power Cube. We really enjoyed the Powermat, and will definitely continue to use it in the future. It looks much nicer on the counter than a pile of tangly cords! The babydaddy even took the Travel PowerMat to work with him and has been showing it off to all his buddies! 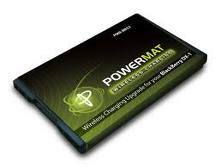 And, much to his excitement, PowerMat is in the works to come up with some kind of charging system for video game controllers, such as XBOX 360, and PS3. He will really love that! Check Out this video to learn more about how PowerMat works! Pretty Awesome, huh?? You know you want one! Get Your Own! 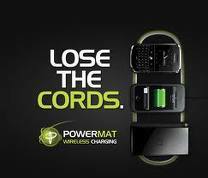 To get your own PowerMat, Click here. Save Some Cash: You can use code BTS2010 to receive 20% off any purchase from PowerMat! 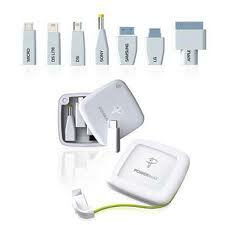 Disclosure: I received PowerMat Products and accessories in order to facilitate my reivew. No other compensation was given, and all opinions are my own.